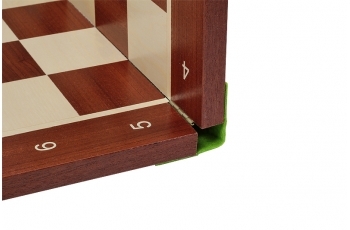 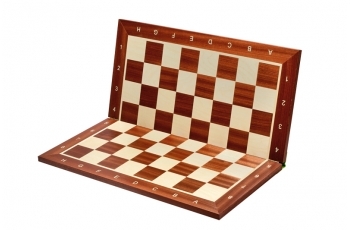 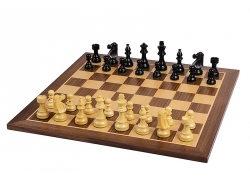 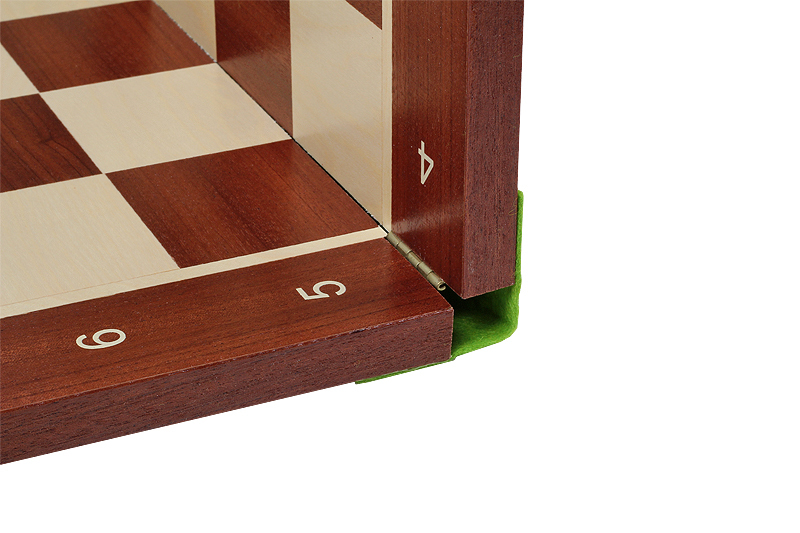 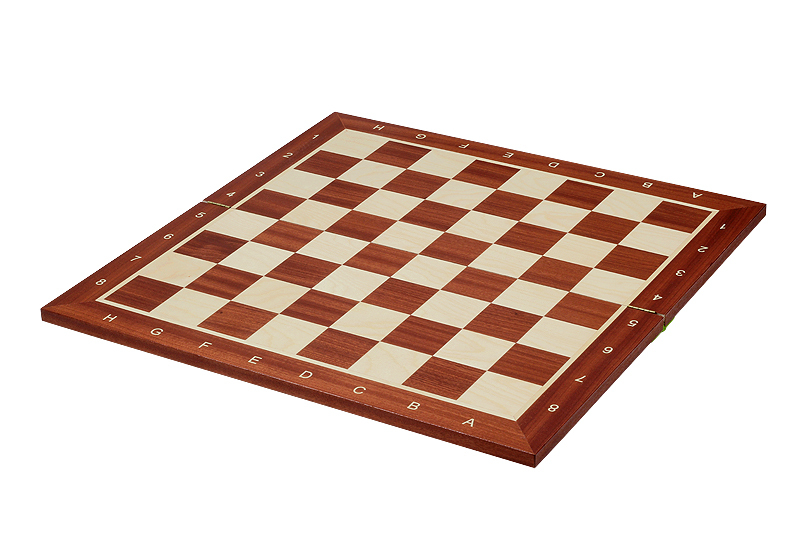 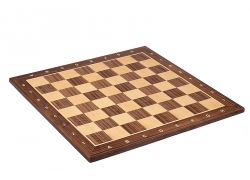 This 54x54cm veneer chessboard has been crafted from sycamore and mahogany. The board is foldable so it is easy to carry. 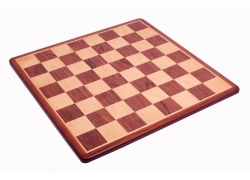 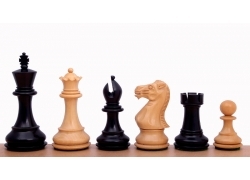 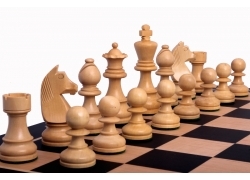 This fine chess board has a square size of 58mm and it is ideal for our larger chessmen with a King height of 98mm. 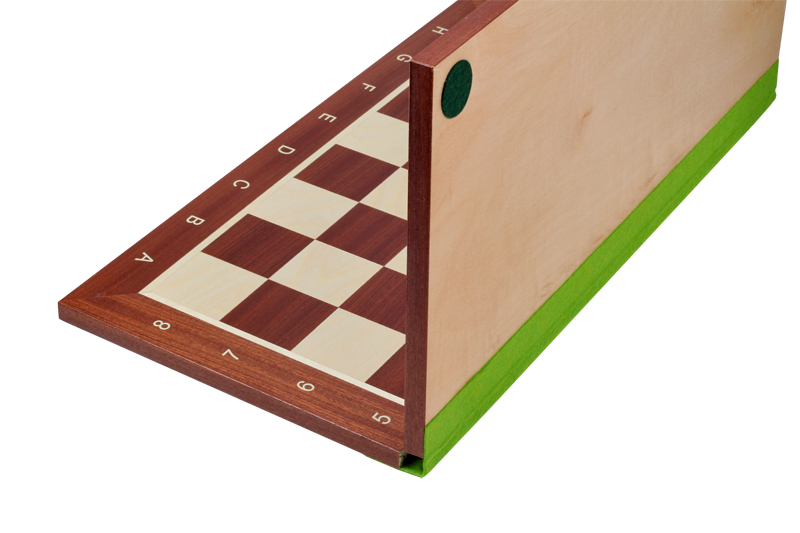 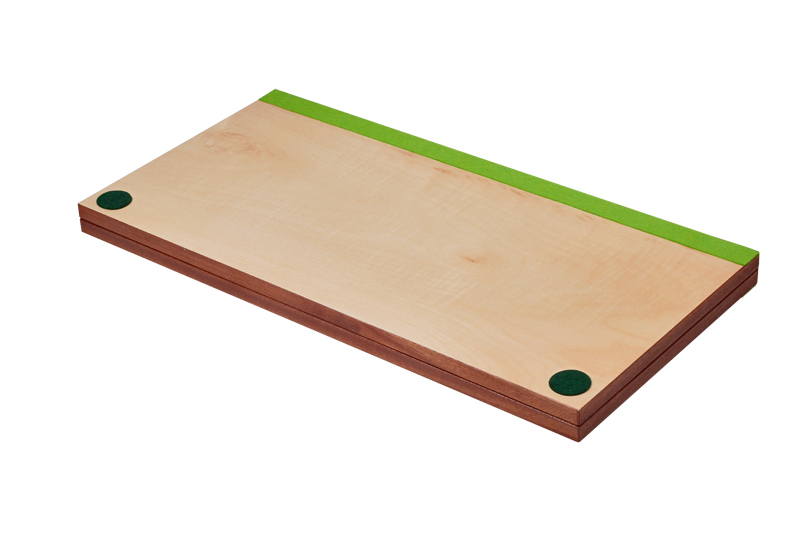 This board is available in dark (mahogany) border and with alphanumeric notation only.